For homeowners seeking a simpler life and apartment dwellers dreaming of their own space, tiny houses represent an inspiring, attainable ideal. For those fueled by wanderlust, converted buses—they call them “skoolies”—take the tiny house adventure one step further. Reborn as cozy homes, these retired school buses are ready to hit the road. And unlike the bohemian house buses of 1960s counterculture, many of today’s conversions adhere to a contemporary aesthetic of sleek minimalism. 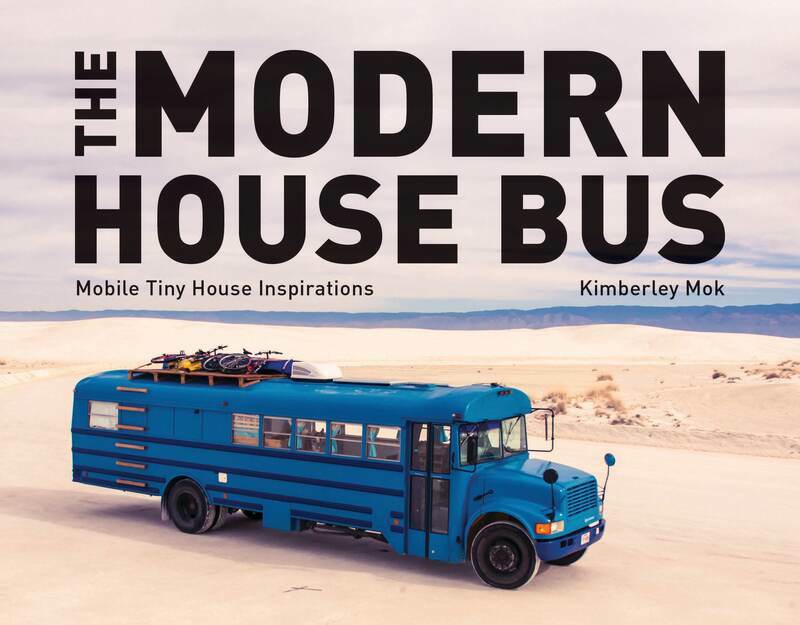 In The Modern House Bus , journalist Kimberley Mok shares 12 buses that are sure to inspire. These are families following a new American dream that values financial freedom over square footage, adventure over manicured lawns. Designed to fit the owner’s lifestyle and needs, the conversions are filled with inventive architectural details, creative materials, and unique style. Filled with photographs of the buses and their breathtaking surroundings and ideas space-saving hacks, this is a book for aspiring bus-owners and armchair adventurers alike. Kimberley Mok is a writer, illustrator, designer, and yoga teacher with a background in architecture. Her writing has been featured by TreeHugger, Mother Nature Network, the Huffington Post, and Yahoo.com. She lives in Montreal, Quebec.